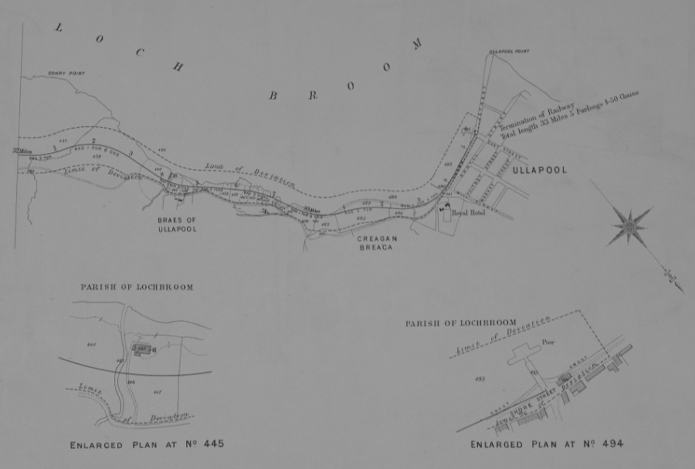 Andy Drummond traces the ultimately unsuccessful attempts to have a railway built to Ullapool. Among the several railways which never existed in the north of Scotland, perhaps the most famous is the branch railway from Garve Station as far as Ullapool. When first proposed around 1890, it was soon beaten back by the extension of the Dingwall-Strome Ferry line as far as Kyle. 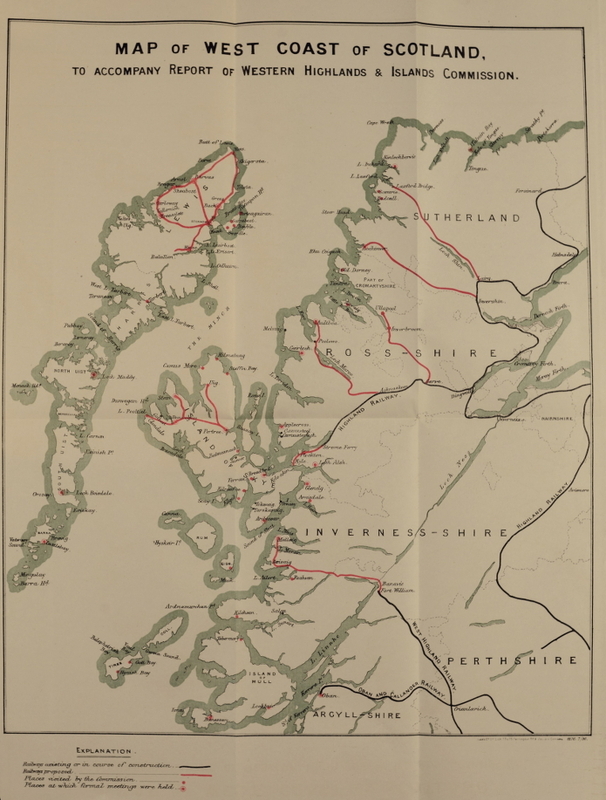 The decision of the Westminster government not to give any assistance at all to the Ullapool line caused considerable dismay locally, but also spawned further proposals over the course of the following six decades. Five proposals in all. Ullapudlians were not an easy race to defeat. The first proposal for a railway to link Ullapool to the rest of the British railway network saw the light of day in 1885. The 1880s was a period of considerable political interest across the UK, partly because of the series of public disorders of the 'Crofters War', occasioned by poverty and land-deprivation in the islands; partly because of the rise of the Irish Republicans in a very similar scenario on the Emerald Isle. As a result, a number of government commissions came and went to the West Coast of Scotland. 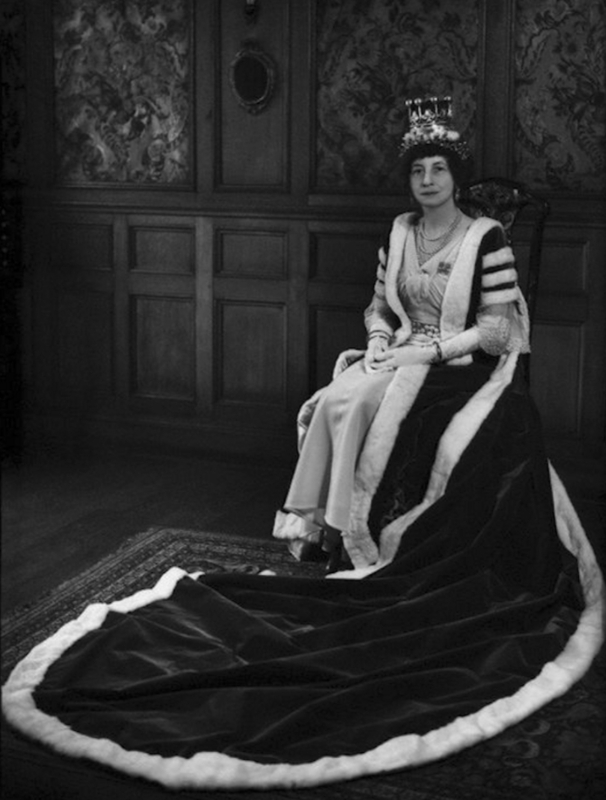 On one famous occasion, Lord Lothian was moved to undertake a quasi-royal tour of the whole area - making perhaps an ill-judged boast that "I am the first Secretary for Scotland who has come here". From all of this great upheaval over land-use and social conditions came both the ground-breaking Crofters' Act of 1886, and numerous plans to build railways from the west coast to Inverness, primarily for the transportation of fish. There were several such lines in contention - to Mallaig and to Kyle (which we now know and love, since they were built), and to Ullapool, Aultbea, Lochinver and Laxford. Fuller detail on some of these proposals can be obtained from John Thomas' book The Skye Railway. Suffice it to say that the competition to attract funds from the government was fierce and unforgiving. Local rivalries abounded - there was particular venom in the claims and counter-claims of the supporters of the Ullapool line on the one hand and the Aultbea on the other. The line from Garve to Ullapool had the backing of Sir John Fowler, who had bought an estate at Braemore in 1857. But when the Garve and Ullapool Railway Company was formed by Act of Parliament in 1890, he himself remained in the background (as 'consulting engineer') and was wheeled out only when things took a turn for the worse. As, alas, they frequently did. His son Arthur teamed up with several members of the wealthy Matheson family to form the Board of the new company. At first, things went well. Considerable support was forthcoming from locals - landowners and fishermen; as well as from MPs across Scotland, and people in Stornoway at one end, and Dingwall at the other. Fowler even persuaded the Highland Railway to undertake a survey of the 33-mile line, which was carried out by their engineer, Murdoch Paterson. Anyone with a passing knowledge of the road that links Garve to Ullapool will be aware of the interesting physical challenge that is encountered at Braemore, at the head of Loch Broom. Here the land drops away from 900ft to sea-level in the space of a couple of miles, leaving a gradient of around 1:22 to overcome. But rather than try that approach, Paterson elected to do something far more interesting. At Braemore, the line would curve westwards to follow the road to Dundonnell (now A832) for a couple of miles. It then crosses the road, leaps over the Cuileag river (100ft below), and then, about 220 yards from the road, the railway enters a 590-yard tunnel, which curves back to the east to follow the line of the river and glen. After the tunnel, on the long descent to the head of Loch Broom, several significant gorges have to be crossed. It was a brilliant and spectacular solution. Regrettably, Sir John Fowler vetoed the idea of a tunnel. In any case, it was academic: the Highland was by this time far more interested in its own extension to Kyle, and showed convincing symptoms of cold feet about Ullapool almost from the start. In 1891, Fowler and the Mathesons decided to try to hand over their legal rights to the line to the Great North of Scotland Railway, who were itching to get a foothold west of Inverness. But there, too, things did not go well. The Secretary of State for Scotland sent out two commissions in 1890 and 1891, to look into all the proposed railways in more detail. Neither seemed to have made a very good job of it, and their reports simply made it harder for the Ullapool line to gain traction. The first Commission dithered over which of the six plans to go with, and was in any case more focused on promoting emigration than deciding on a railway; the second Commission got its facts all wrong concerning the viability of Ullapool as a safe harbour ("encumbered with islets and rocks"), and came down in favour of the lines further south. And so, in a complex story of back-stabbing, broken promises, government leaks and sheer incompetence, the Mallaig and Kyle lines got the money, and the Ullapool line did not. In August 1893, the sadly-named "Garve and Ullapool Railway (Abandonment) Act" was passed. Excerpt from 1890 plan showing the terminus. The Light Railways Act of 1896 much simplified the procedures for developing a light railway. There were many proposals in response to the provisions of the Act. In the event, only around thirty 'light railways' were constructed between 1899 and 1925, of which six were in Scotland: the Wick & Lybster (1899), the Lauder (1901), the Cromarty & Dingwall (begun 1914, but never completed), the Dornoch (1902), the Leadhills & Wanlockhead (1902), and the Campbeltown & Machrihanish (1906). Before the ink was even dry on the Act, Arthur Fowler was knocking on the door of the Highland Railway, wanting to know whether the company would be interested in a joint venture to establish the Garve-Ullapool line as a light railway. The Highland rolled its eyes and went along to meet Fowler. Three times in March 1896. And then dashed his hopes by stating that the company would not contemplate paying for the construction, but was prepared to operate a completed railway under the same conditions as in 1890. Which was not helpful. It is to Fowler's credit, however, that he did not take 'no' for an answer. In September 1898, the Board of the Highland Railway was to be found debating the question of this light railway once more, this time going so far as agreeing to survey the proposed line - just as long as Fowler footed the bill. Fowler himself died unexpectedly in 1899 and, although a local MP continued to pester the Highland for several months thereafter, the plan also slipped away. But only for two years. In November 1901, a letter turned up in the post-box of the Congested Districts Board. It came from a Major Blunt, resident at Tarbat House, near Invergordon. The Major was planning to build a 'tram-line' running from Garve, as far as Ullapool, and then some - it was to lead all the way to the shore opposite Isle Martin, another three miles to the west of Ullapool. The purpose of this tram-line was to facilitate the transportation of freshly-caught fish to the railways which converged on Inverness. All Blunt wanted from the Board was a grant towards widening the existing road (now the A835) by 50% in order to accommodate the tram-line alongside. All in all, he felt it was a capital plan. He failed, however, to give any indication of estimated costs. The members of the Board discussed the proposal amongst themselves, with some scepticism. One doubtful gentleman expressed the thought that "this is a proposal to supply the luxury (so to speak) of a steam-tramway alongside of a good carriage road". 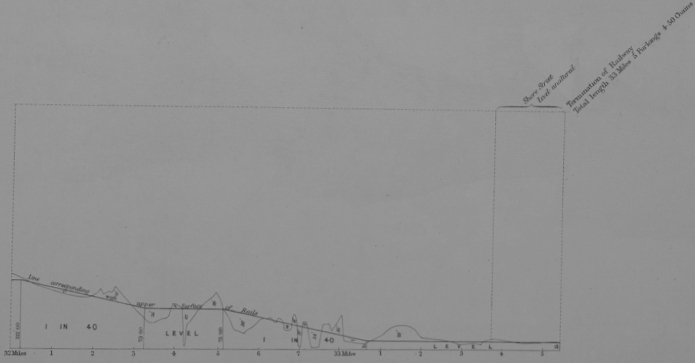 In its reply, at the end of December, the Board pointed out that, firstly, much of the route did not in fact run through a 'congested district'; and secondly, that the road was already there, transporting fish as required from the fishing-boats on the west coast to Garve and beyond - so why would anyone need a tram-line? The request was turned down. We should remark in passing that Major Blunt was the husband of the Countess of Cromartie. Probably not a gentleman fitting the standard profile of a beneficiary of the Congested Districts Board. Andy Drummond's novel describing the construction of the railway to Ullapool, An Abridged History, (2004, reprinted 2018) is available on Amazon. This article above is based on a more detailed study to be published in book-form in 2019. Larger versions of the maps and plans in this article are available for viewing in detail here.